If you’ve had a 1973 Ford Cortina or 1967 VW Beetle, they’ve had you covered for quite some time, but until now, you just couldn’t learn to prepare for the Zombie Apocalypse whilst carrying out an oil service in your own garage. You can now! 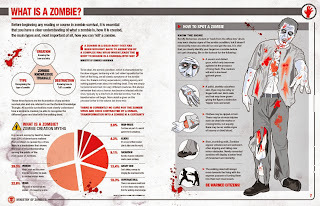 Sean T. Page, founder and figurehead of the world renowned Ministry of Zombies, brings his expert knowledge to this comprehensive and clearly illustrated zombie survival manual. Sean T. Page is fully committed to the cause of educating the masses on the tools and techniques required to survive the zombie apocalypse. His previous educational works include The Official Zombie Handbook UK and War Against the Walking Dead and he recently even spent seven nights alone in a disused Nuclear Bunker as an N=1 Experiment to get a feel for the physical and emotional impact of living as an 'Omega Man'. 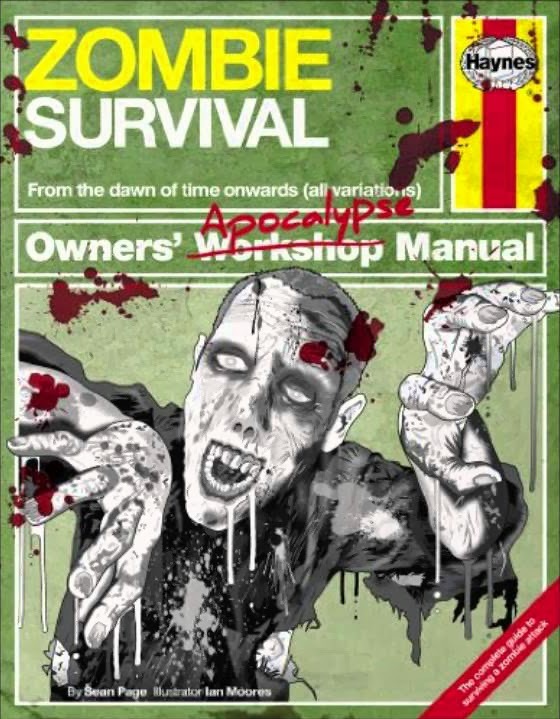 Zombie Survival Owners' Apocalypse Manual is crammed with over 100 pages of superbly useful advice and packed to the gills with Sean’s deadpan humour. Often subtle, often both barrels up close and personal and there’s plenty of laugh out loud moments. 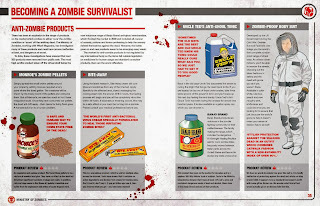 There’s advice on preparation, bug-out plans, zombie profiling and self-sufficient living. My personal favourites include the Becoming a Zombie Survivalist (fashion advice), the Zombie Home Preparation Audit and Combat for the Elderly - we owe it to our physically less capable elders to make them read this book! 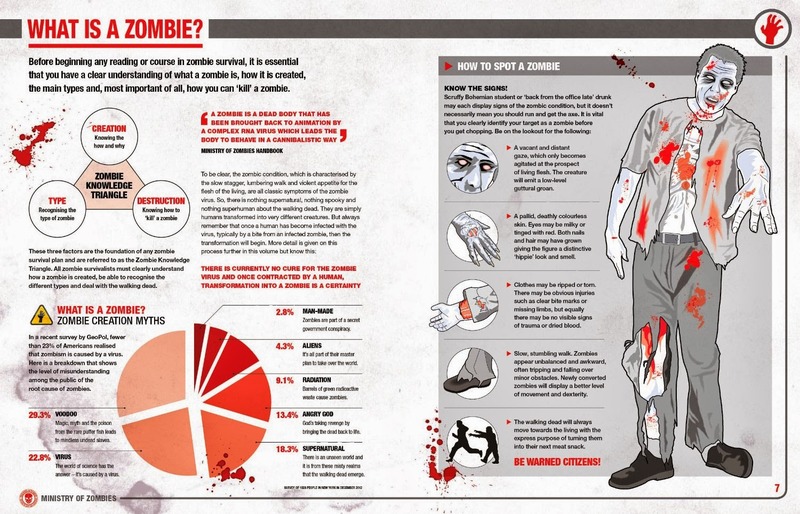 Zombie Survival Owners' Apocalypse Manual is full-colour and richly illustrated on every single page, by Ian Moores, and there’s a chance (if you think you’ve got what it takes) to earn yourself a zombie survival qualification, so that you can become a self-certified Zombie survivalist. Be sure to put that on your CV! 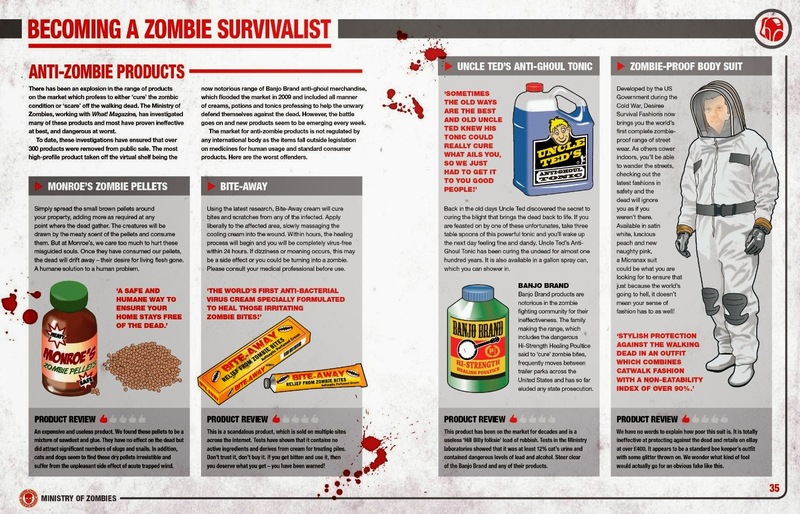 If you’re a fan of The Walking Dead, Max Brooks or enjoy a bit of zombie gaming, it is time to get yourself ready to survive the apocalypse. This really is a must-have for any Zombie fan.